Just Say Yes Events: Love at Breathtaking Heights, Willis Tower. 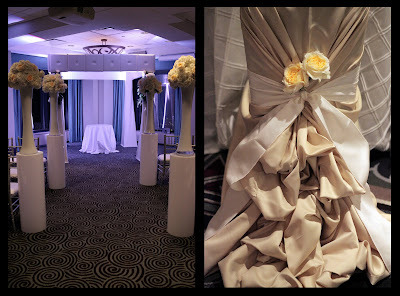 At Just Say Yes Events we love showcasing our event/floral designs in gorgeous venues like the Metropolitan Club. Every January we participate in the "Love at Breathtaking Heights" event held in the historic Willis Tower. Couples have the opportunity to view top Chicago wedding professionals showcasing everything from Photography to event design at the top of Chicago. This year a few things were added wonderful touches such as live models showcasing dresses from Giselle Couture, which were of course breathtaking. M&M rentals Derrick Taylor created a stunning ceremony area with custom white leather altar with lush floral composed of white Hydrangea complimented with Creme de La Creme roses. 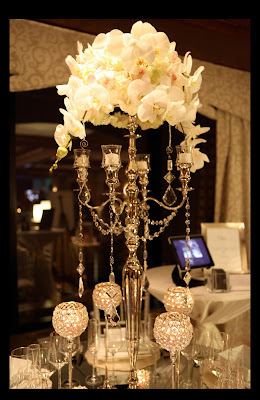 Our Creative Director Barbara Mouradian created a modern meets traditional design in all white with luxurious linens, mirror table top, silver candelabra draped in crystals & lush floral using her favorite Phalaenopsis Orchids. It was a luxury event from beginning to end and can't wait till next January to participate again. Here are a few highlights from the evening along with some wonderful photos! Image 1: Just Say Yes Events created a gorgeous 5 feet tall candelabra centerpiece composed of lush Hydrangea, Cymbidium Orchids & Phalaenopsis Orchids. There is one thing that Creative Director & Designer Barbara Mouradian loves and that is crystals which were used to drape the candelabra. Image 2&3: To keep the theme of modern meets traditional Just Say Yes Events used pave crystal votive holders to bring bling to the base of the centerpiece making sure they still fit the modern side. 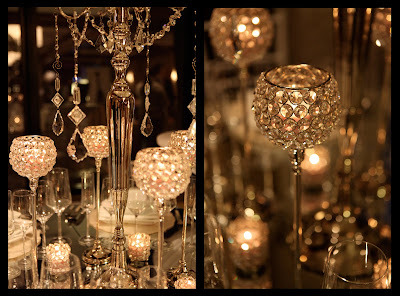 The mirror top table base from M&M rentals reflected all the crystals and candlelight to create a glowing table-scape. Image 4&5: Derrick Taylor from M&M rentals had a custom altar designed from white leather fitting perfectly within the design of the Metropolitan Club. 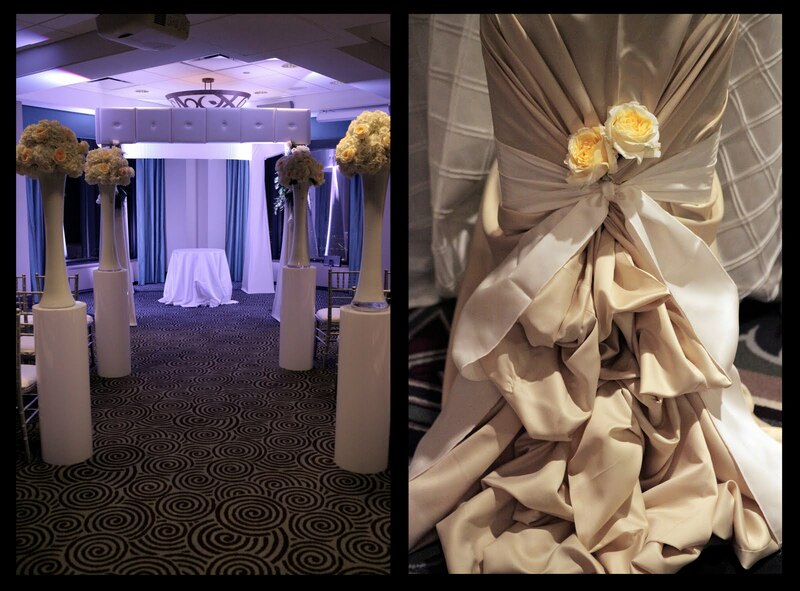 The following image is of Derrick Taylor's amazing hand pinned chair covers. The chairs look like the back of a brides gown and are breathtaking. Image 6&7: WOW!! 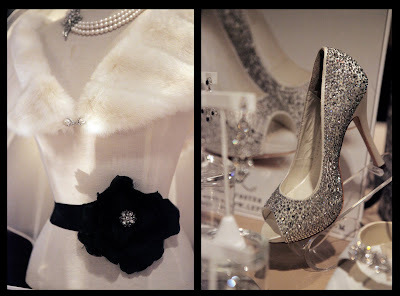 The Left Bank showcased eye catching bridal accessories such as shoes, jewelry, sashes & even a white fur shawl. 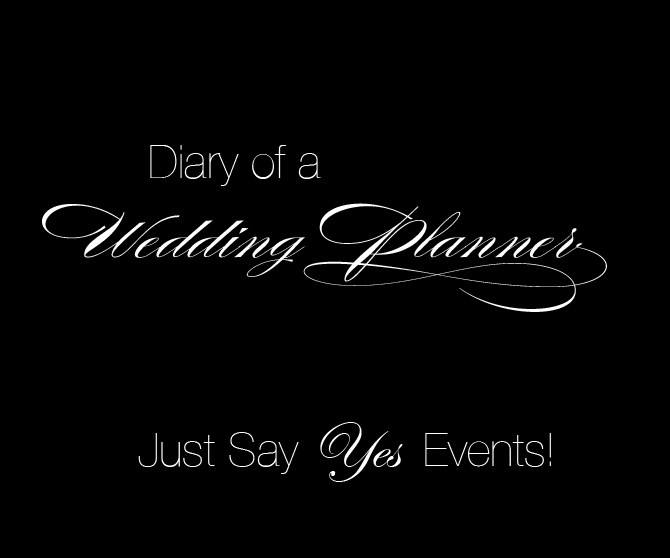 All images ©Just Say Yes Events!